Available in a range of sizes, both as Paired Alike and Thumb Turn, the Kenrick cylinders offer a secure solution at a competitive price. Kenrick cylinders feature 6 pins with stainless steel springs. Easy to install in the factory or on site, the Kenrick cylinders are suitable for an extensive choice of applications. 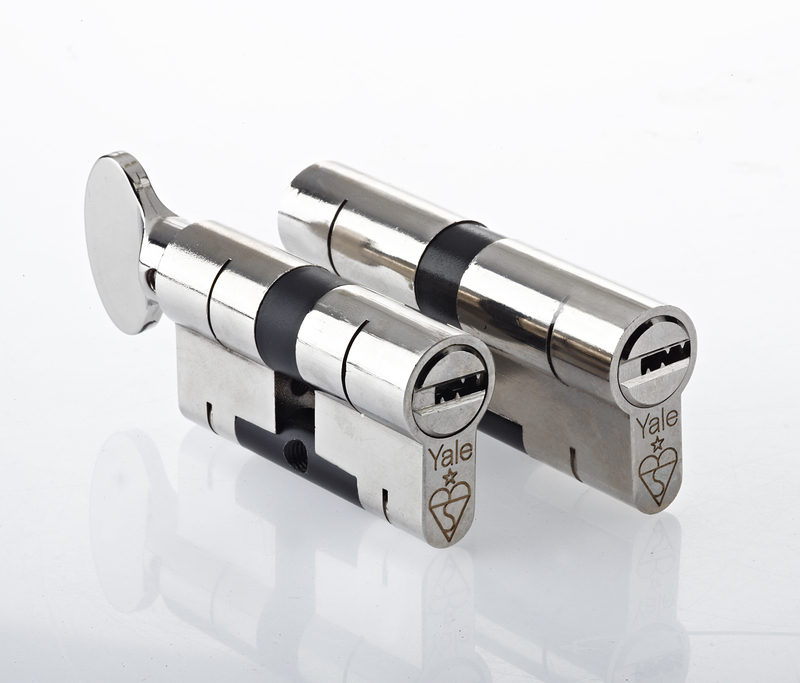 The Yale Platinum 3 Star Euro Profile cylinder is a TS007 3 star Kitemarked Anti-Snap security product to provide maximum security against known cylinder attack methods. The Platinum 3 Star cylinder is independently tested by BSI to be awarded the British Kitemarked TS007:2014 3 star accreditation. The Yale Superior series offers British Kitemarked TS007:2012 1* security and has been tested to the British Standards BS EN1303:2005. Suitable for PVCu, wood and composite doors, this cylinder is Secured-By-Design approved and recommended for use on doors that require a high level of security. Featuring anti-drill, anti-bump and anti-pick systems, the UAP 6 pin cylinder provides high levels of security to any entrance door, while remaining a competitive solution for fabricators and installers. The UAP cylinders hold the Secured by Design standard, and have been tested to EN1303:2005.